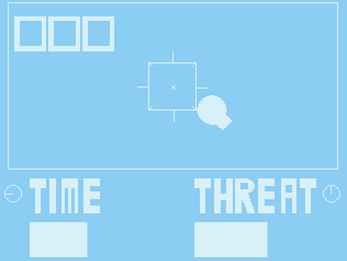 'How I Learned to Stop Nuclear Winter' is a game that is inspired by the 1983 Soviet Nuclear False Alarm Incident, and the song 99 Red Balloons by Nena. However, it's not like the threats will just wait for you to shoot them down will they? 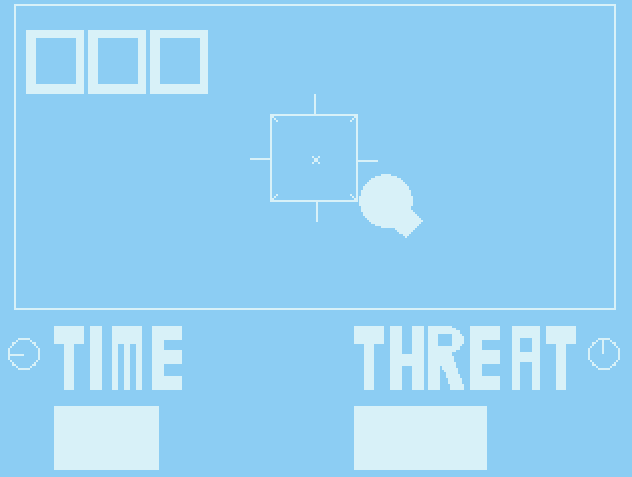 OF COURSE NOT, as the THREAT meter fills, so too will the TIME meter! Once the TIME meter depletes, the bombs hit their target, the system fires back, and it's Armageddon, right on schedule, it's not your fault, but you still could've prevented it. Nobody blames you. So just shoot everything down, right? WRONG! 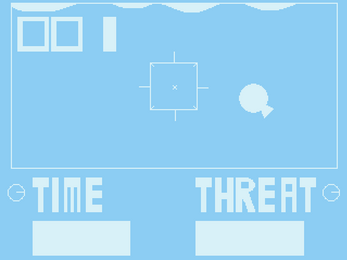 Hit airlines, kites, clouds, satellites, birds, or any other harmless target and those anti-THREAT beams have to go SOMEWHERE, and they will hit some other nation, who will promptly fire back, which will cause your systems to fire back! Armageddon, once again, so aim carefully, make sure you're shooting a bomb and not a balloon, or else somebody might blame you, or they would, if anyone was left alive. 'How I Learned to Stop Nuclear Winter' is an arcade type of game, it never truly ends. An entry for the 2 Color Game Jam.